Hot on the heels of the massively successful Jerry Can Ride in 2016, the Sailor Jerry team has again partnered with Kontended to launch their Sailor Jerry Origins of Original campaign for 2017. 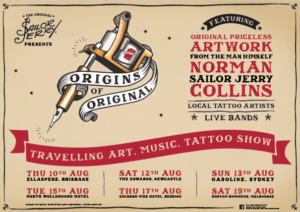 The Origins of Original campaign will tell the story of Sailor Jerry through a series of curated original artworks in a travelling exhibition that will hit six Australian cities. 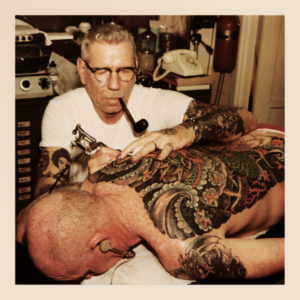 The campaign will bring to life the man and namesake of the brand, Norm “Sailor Jerry” Collins, travelling the artwork around Australia and supporting local tattooists, artists and musicians just as Norm did himself back in the day. “We will continue to share his amazing story which is the backbone of the brand. It’s going to be big and our brand is so proud of the work to date” said Andrew Skehan, Marketing Manager, William Grant & Sons, Australia. Kontended will once again capture the journey, documenting the campaign and demonstrating how tattoo culture has evolved, telling the stories of contemporary local artists and those who share Norman Collins’ values. “Over the course of the last eight months we’ve been pulling together one of the most prolific art collections and getting ready to travel it alongside six of Australia’s most high profile artists in the tattoo industry. 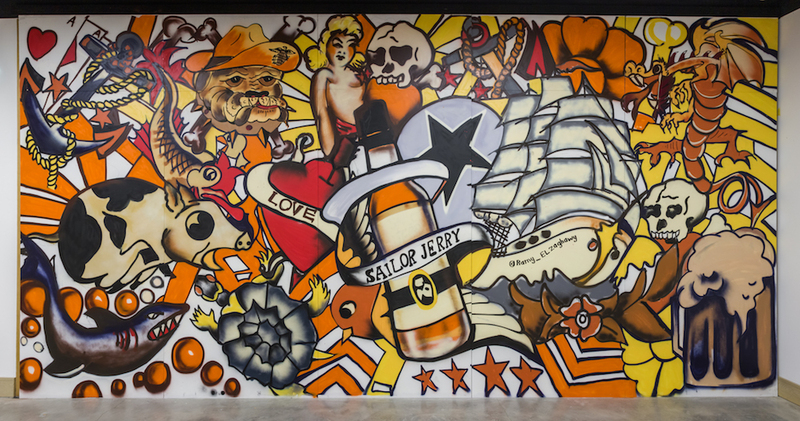 Sailor Jerry is a great brand and we can’t wait to tell its story again this year. “ Miguel Garcia, Head of Strategy & Client Services, Kontended. 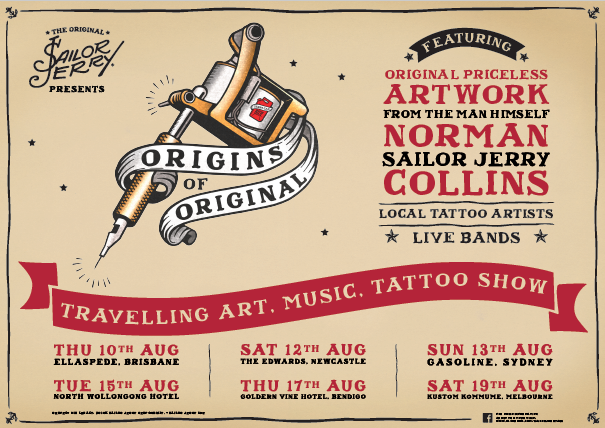 The Origins of Original travelling show kicks off on August 10 in Brisbane before making stops in Newcastle, Sydney, Wollongong, Melbourne and Bendigo. The art show will also be supported by local musicians and CCAHA Paper Conservator and Art Historian Samantha Sheesley will accompany as curator. Next articleProximo Spirits Buys island2island Beverage Company. Les Page Retires.